The midterm elections resulted in victory for many female candidates, but Debbie Walsh, executive director of the Center for American Women and Politics, says they were ultimately a mixed bag for women in politics. While the U.S. House of Representatives will now have a record number of women, there were high-profile losses for women in the U.S. Senate, including two incumbents who lost their reelections to men. On the state-level, Americans simply retained the record number for female governors -- at nine. In legislatures, women will make up 27 percent of elected officials come January -- an improvement from the 23 to 25 percent it’s been hovering around but still disproportionately low. One area with "significant breakthroughs," says Walsh, is women of color. Not only are more running than ever before, they’re winning. "We’ve never sent a Native-American woman to Congress, and now we’ll send two ... We have the first two Muslim women elected to Congress, and four states are sending their very first women of color at all to Washington," she says. Just don’t refer to 2018 as the "year of the woman" to Walsh. "It implies that women are novelty, the 'other,'" she says. "It also implies in this one year that the problem of representation of American women in politics will somehow get fixed." Listen to her dissect the 2018 midterms on this episode of "The 23%: Conversations With Women in Government." Click below or subscribe on Apple Podcasts, Google Podcasts or Stitcher. 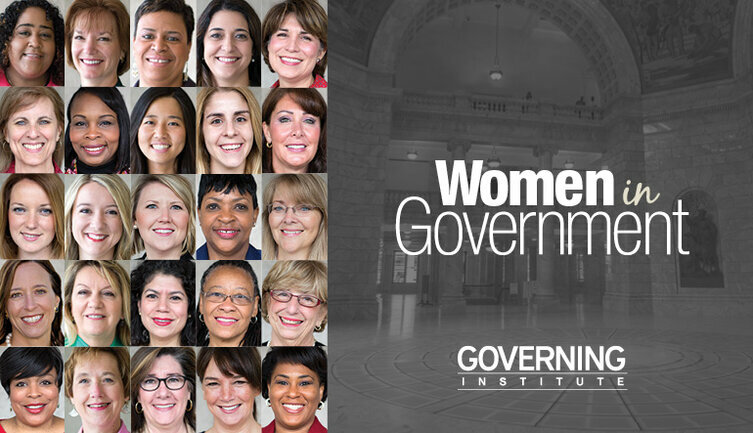 The 23% is brought to you by Governing's Women in Government Leadership Program and its sponsors, including Microsoft.